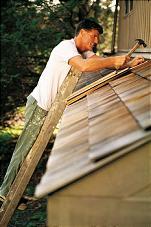 Depend on our expert contractors to satisfy your need for everything from roofing services to basement waterproofing. Family-owned-and-operated since 1989 and incorporated since 2004, Weather Tight Roofing Inc. is the only name you need to know for reliable services. As your source for roofing and seamless gutters for your home or business, we're looking forward to serving you. Contact us in Philadelphia, Pennsylvania, for top-notch roofing services, basement waterproofing, and seamless gutters. Experience personalized care every time you choose our company. Owned and operated by a father and son team, you'll always enjoy work done directly by our owners. You'll never have to go through a salesman for care, and we gladly offer emergency services 24 hours a day, 7 days a week. At Weather Tight Roofing Inc., our community matters, which is why we donate a lot of work to the local churches of Philadelphia. Receive Savings with Weather Tight Roofing Inc. Call us today for a free estimate for preventative roof maintenance and seamless gutters.